It’s officially August, guys. Know what that means? Well, yeah, it’s my birthday month. Okay, okay…you can leave gifts at the Bend Visitor Center. But besides that, August means there’s an end in sight to the hot days of high desert summer. Sunsets are already getting earlier, and Labor Day is just around the corner. 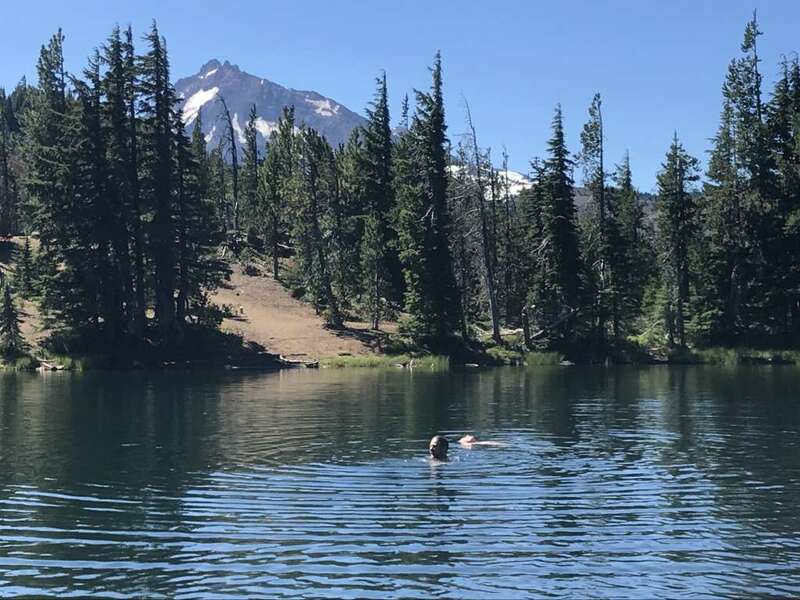 Blogger Tawna’s husband and kiddo swimming in a high Cascade lake last weekend after an epic hike. 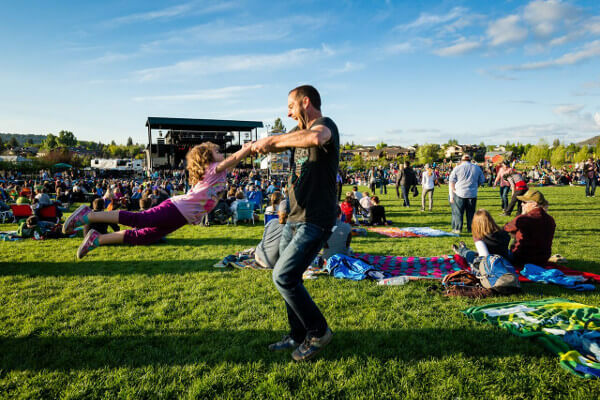 You’ve still got more than a month to tick off Bend’s best summer activities on your bucket list, so here are ten of them worth adding. It doesn’t matter which one. Just hike to a high mountain lake and jump in (bracing yourself for the chill because hello, snowmelt). Few summertime experiences compare to the refreshing blast of an icy plunge into a mountain lake after a long, hot hike. Bonus: Come January, you can watch our Facebook page for photos of that same lake iced over, which is kind of a trip. Cheers to cold beer on a hot summer day. 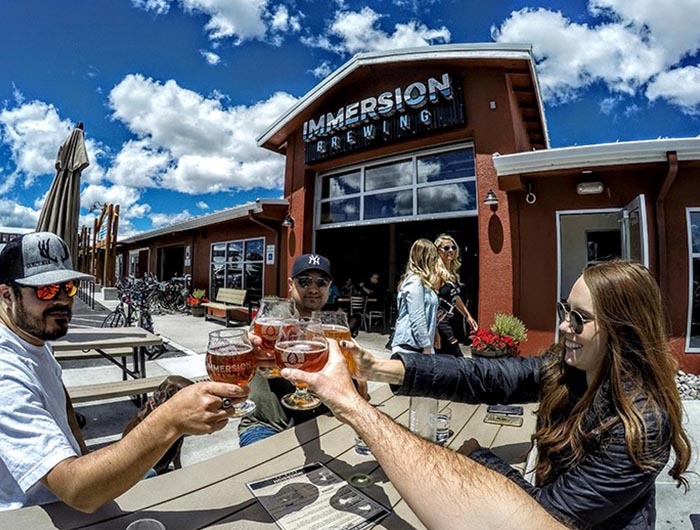 I know, I know…you can drink beer every month of the year along the Bend Ale Trail, but only in the hottest months can you find those specialty beers brewed just for summer sipping. I’ve noticed a number of breweries (looking at you, 10 Barrel and Bend Brewing Company) doing extra-hoppy pilsners for summer, which is a nice treat for IPA fans looking for lighter summer fare. If you’re a serious beer connoisseur, don’t miss the Bend Brewfest August 16-18 in the Old Mill District. You read that right. Part of loving Bend is a desire to leave it better than you found it. On your next high desert hike, tuck a small trash bag into your pack and gather up those gum wrappers and little bits of garbage you spot along the trail. Through Tumalo Creek’s Green Tubing program, you can float the river while making Bend a better place. 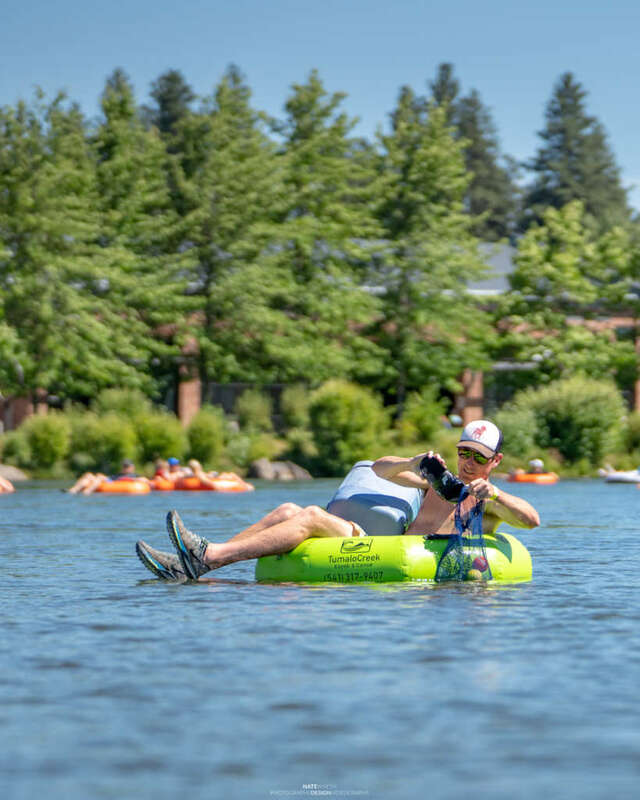 You can also take advantage of the amazing new program from Tumalo Creek Kayak and Canoe called Green Tubing where you get a free float tube rental in exchange for gathering garbage as you float the river. They even provide the mesh bag and the garbage grabber! How’s that for leaving Bend better than you found it? (For more tips on doing that, check out our Visit Like a Local page). As of August 2, 2018 we’ve got eight more concerts on the docket at the Les Schwab Amphitheater. Munch and Music and the Clear Summer Nights Concert Series are both still going strong as well, so now’s the time to make your plans for an evening of amazing outdoor music. Go ahead and kick off those shoes at an outdoor concert. The aforementioned outdoor concerts are a good starting point for this one, as there’s nothing finer than dancing barefoot on the lawn while jamming to your favorite tunes (just watch out for spilled beer and sharp objects). Beyond that, Bend has more than 80 parks packed with grassy spaces for you to savor with your naked tootsies. Pick one today, then kick off those shoes and enjoy. Nothing’s as tasty on a hot summer day as a scoop of creamy-cold gelato or ice cream. Hit up Bontá or Goody’s for the best frozen yummies in town. Get in at least one good river float before summer ends. 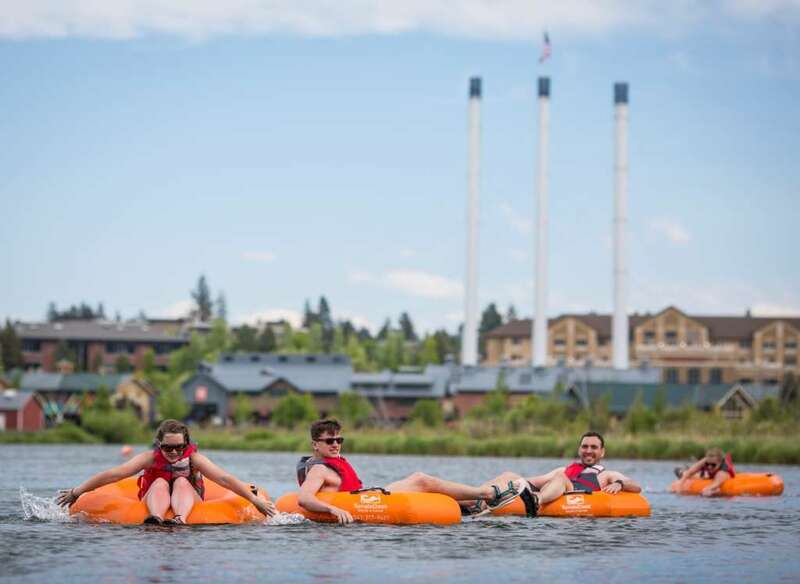 The quintessential Bend experience: parking your backside in a float tube and drifting down the Deschutes on a hot summer day. Go here for details on floating the river like a pro, and don’t forget what I said about Green Tubing as an option for adding some do-gooding to your floating experience. 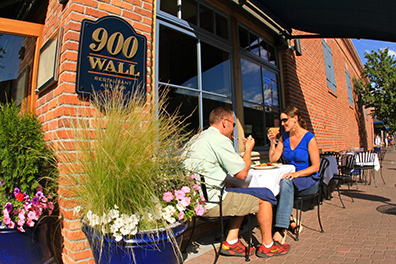 Outdoor dining is in full swing at dozens of Bend eateries right now, so peruse our restaurant pages to start getting ideas. If you’re looking for an extra special experience, consider a drive to Suttle Lake for one of their special dock dinners or wine events, or head up to Mt. Bachelor to experience a sunset dinner at 7,800 feet, followed by a chairlift ride down the mountain under the stars. If you’d rather stick closer to Bend, check out this roundup of great river view dining spots along the Deschutes. Take advantage of the chance to dine outdoors this summer. I know we’re harping on this a lot, but promoting sustainability and environmental responsibility is what’s going to help us all keep enjoying Bend for generations to come. Are you as passionate as we are about protecting our high desert oasis? Take the Bend Pledge now, with the bonus of being entered to win an outstanding Bend vacation. Bend sunsets are spectacular all year long, but they take on a special quality in August as forest fire season kicks into high gear. Yes, there is an upside to the extra smoke in the air, and it comes in the form of glorious, glowing, orange and pink sunsets most nights of the week. For tips on where to snag the best photos of them, go here.